Self-storage is becoming a popular notion in the UK with multiple people deciding to utilise this extra space. There all kinds of storers out there who will all use self-storage differently from each other. Some will use to keep important items extra safe or for their business. A mover is one of the most common types of storers. They will typically use a storage unit while they are moving house. There are two different times a storage unit can be used while moving house. The first is at the beginning to be prepared and ready for the move will everything boxed up and in the storage unit ready to go. The second and final is during the move to keep your new home uncluttered while you decide where everything will go. Collectors are people who will use storage units to store their collectable items. There are many reasons behind choosing to use a storage unit with one of the main ones being for extra space. Not many people can afford a home with an extra room just for their collection. Another reason could be as whoever they are living with doesn’t like having the collectable items kept in the house. 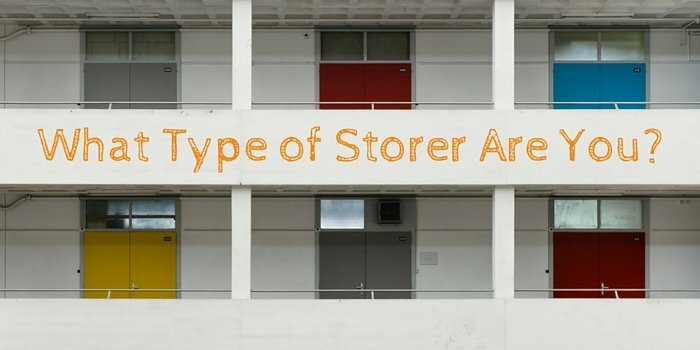 A student storer is someone that will use a storage unit primarily as a source of extra space. They will normally store old papers, notes and work from previous years. It can also be a useful tool for keeping precious items safe over the summer. Storage units will have security cameras, alarms and pin-coded units. One more good reason for students using storage units is when it comes to moving out of your previous student accommodation. With people finishing university at different times it can be difficult to move your items into your next student home, that’s when storage units come in handy. Your typical hoarder will utilise a storage unit to keep all the items they believe will come in handy one day. It is also a place for them to store those items that they just can’t part with but don’t have the room for at home. Many storage units will be used for this purpose and the sad thing is they will be forgotten about. This results in storage auctions. The storage company can seize units that have not paid the rent for a certain amount of time and sell any items in there. The business professional will use their storage unit for a number of reasons; the two most likely are for inventory and as an office. They can also use a storage unit to keep equipment that they don’t need. This could be desks and chairs when they don’t have as many employees. It can also be a place to store business documents that don’t need to be accessed all the time. Self-storage can be one of the most useful resources nowadays. No matter if you associate yourself with one of these storers, self-storage is something you should think about especially if it would be able to help you in any way.